To work with the Mexican Ministry of Health to provide quality primary care in rural communities. Within a few months of beginning operations in Mexican Chiapas’ rural areas in 2012, CES staff became aware of a (previously uninvestigated) high burden of mental health-related problems in the area. While working in only 6 communities of less than 2,000 inhabitants, 5 persons were found to live locked or chained because of chronic psychotic illness and almost 200 patients were diagnosed with depression. In response, CES partnered with the Mexican Ministry of Health (MOH) to provide access to quality mental health care in primary care settings. The program provides accurate diagnoses and safe, effective, and culturally sound medical and non-pharmacologic treatments for mental health disorders based on the core principles of Service, Training, Advocacy, and Research. Through the partnership with Partners In Health (PIH), best practices can be implemented across borders to PIH sister organizations such as CES, improving health care across the globe1. “CES has helped me both physically and morally. I have changed a lot because beforehand I was someone who did not have any desire to continue living. Talking with Doctor Luis, Doctor Andrea, Doctor Azucena, and now with Doctor Mariana I am feeling much better. I feel as though I am actually doing something with my life thanks to CES. In addition, I was named one of the acompañantes for Laguna, which has helped tremendously and helped me to learn and understand more." CES clinics are staffed by pasantes, young Ministry of Health (MOH) generalist physicians completing a year of service, who provide pharmacologic and non-pharmacologic treatments and are equipped with antidepressant and antipsychotic medications. 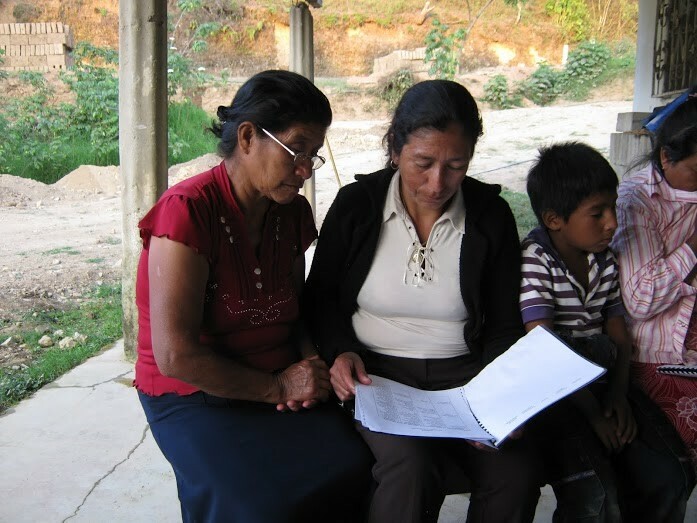 Within the community, acompañantes (community health workers) provide basic psychoeducation and monitor treatment adherence, and refer patients to care. CES, in collaboration with Instituto Tecnologico de Estudios Superiores de Monterrey (ITESM) medical students, conducts active-case finding for patients with chronic diseases, including depression. In partnership with the ITESM, CES pasantes receive a diploma in Social Medicine and Global Health in Mexico. This involves monthly trainings on best clinical practices, how to diagnose and treat mental health problems, and social subjects. CES acompañantes complete a psychoeducation course focusing on working with patients with depression and that features expert patients describing what it is like to live with depression, so that acompañantes can give the most empathetic care possible. As a private organization partnering with the government, CES is committed to advocating for mental health care throughout Mexico. The staff work to improve the reliability of the supply chain and encourage the MOH to increase the amount of mental health medication purchased. Aggregate patient data can also be used to demonstrate the burden of disease related to mental health to government officials. Like all Partners in Health (PIH) sister organizations, CES is committed to research informed by service delivery needs. A recent project assessed the validity of the PHQ-21 and the PHQ-92 for screening and diagnosis of depression in rural Chiapas. 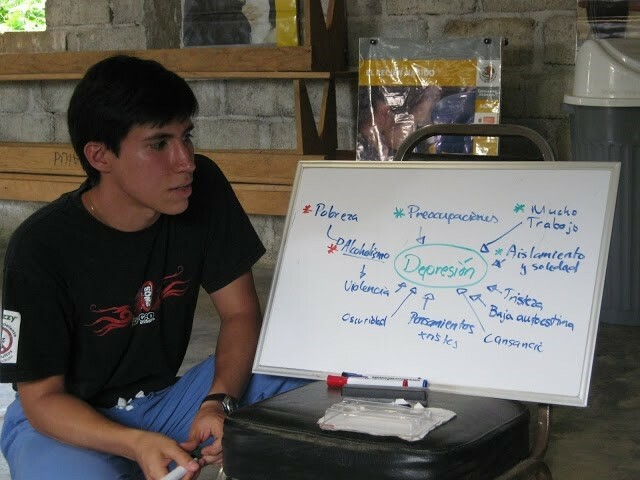 A second project determined the prevalence of depression in rural communities and primary care clinics in Chiapas. Ongoing projects include: Chronic Psychosis Case Series – Treatment of Psychosis in Rural Primary Care Clinics3-6. The state of Chiapas Ministry of Health has expressed interest in this innovation and have invited CES representatives to conferences to present their mental health work in the past. 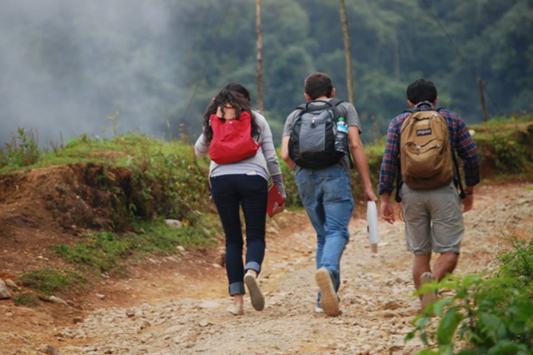 Since pasantes work in Chiapas for one year, as part of a rotation in their broader training, the mental health training they receive from CES is retained when they move on to postings in other areas of Mexico. As part of the PIH network, CES as an organization plays an important role in an active cross-national, iterative dialogue across sister organizations, with the aim of developing and improving novel service delivery models for mental health. Pasantes and their supervisors provide a census of patients with mental illness. We monitor patients diagnosed with depression on our Electronic Medical Record (EMR) system. Pasantes record the PHQ-9 score in each visit in the EMR. We consider remission if PHQ-9 less than 5. Additionally, the outcome of patients who have been invited to the psychoeducation intervention has been monitored by lay interviewers applying the PHQ-9 independent from the pasante. CES has now expanded to 10 clinics, and with 10 young clinicians and 64 community health workers, is treating over 350 patients with mental disorders. CES treats patients with mental disorders including depression, schizophrenia, anxiety, post-traumatic stress and obsessive-compulsive disorder. All 27 patients with schizophrenia have adequate treatment and the majority reintegrated into their family and community, five patients previously chained or locked in are now free. Out of 106 patients with depression invited, 50% of patients attended at least one group psychoeducation session. Of this same cohort, 41% are in remission a year after starting treatment. 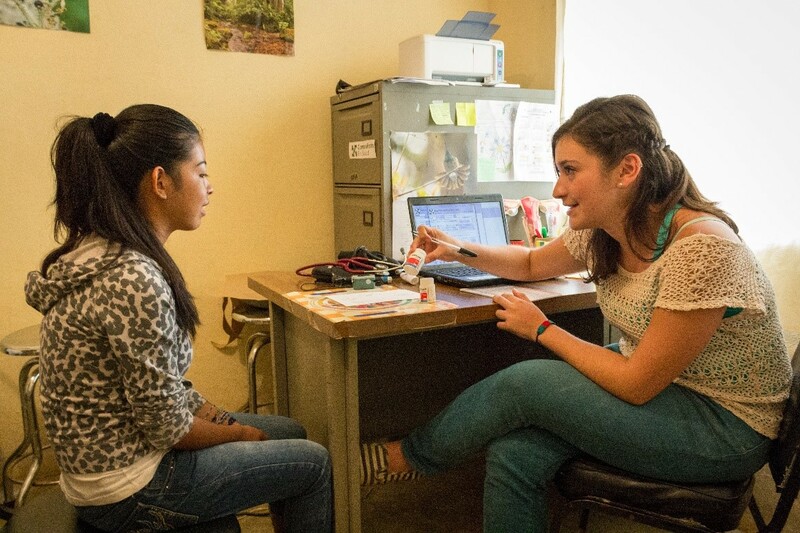 The acompañante program is currently running in eight of the ten clinics operated by CES. 61% of patients with depression receive home visits by an acompañante who helps with treatment adherence, medication adverse effects, and appointments to the clinic and provides psychoeducation. CES has developed clinical algorithms for primary care management of depression, anxiety, psychosis and bipolar disorder. CES has completed two research studies in the past year.